The late French model, Cheyenne Brando was best known for being the daughter of famous entertainers – Marlon Brando, an American actor, and actress, Tarita Teriipaia who was Brando’s third wife. Unfortunately, Cheyenne passed away at a rather early age owing to a troubled life that saw her plunge into drug addiction. She battled through a lot of difficulties that led her to take her own life in her twenties. Below, we take a look at her rather tragic story. Tarita Cheyenne Brando was born the 20th of February 1970. Her actor parents were said to have met on the film set of the 1962 movie, Mutiny on the Bounty. Cheyenne and brother, Teihotu, spent their childhood on the island of Tahiti, South of Papeete raised by their mother after their parents got divorced in 1972. Cheyenne Brando loved her father despite the family challenges. She was reported to openly brag about him from time to time. As she grew up, she grew to despise him especially due to the way he ignored them while growing up. He didn’t seem to care about being a present fixture in their lives but visited them 2 to 3 times a year. Cheyenne later left high school and plunged herself into drug addiction. She did drugs like marijuana, LSD, PCP including tranquilizers. Owning to her good looks which she inherited from her parents, she started her modeling career after she dropped out of high school. Asides having a difficult childhood, her problem started in 1989 when she was involved in a car accident that almost took her life. She broke her jaw and got a torn ear and laceration under the eye. Her father would later have her flown to Los Angeles where she had a reconstructive surgery to fix the broken parts of her body. This accident heralded an end to her career in modeling and threw her into depression and different attempts to take her life. Cheyenne Brando met Dag Drollet around May 1987; she was 17 years old at this time. They were introduced at a get-together and hit it off at once as their families were longtime friends. Her father was never in support of her relationship with Drollet as he believed he fueled her drug abuse habit. Cheyenne discovered that she was pregnant in the year 1989 and her father invited her and Drollet to reside in his Mulholland Drive home to await the arrival of their baby. Unfortunately, Drollet was shot and killed by Cheyenne’s half elder brother named Christian Brando at their father’s home. Christian claimed that the shooting was an accident. Christian reiterated that his sister (Cheyenne) had confided in him that she was being physically abused at the hands of Drollet. As a result, he went to their house to confront him and the gun accidentally went off when Drollet was struggling to disarm him. Consequently, Christian Brando was arrested and charged with the first-degree murder of Drollet. Cheyenne, on the other hand, fled to Tahiti and refused to testify in the trial. Christian was then presented with a plea deal and he pleaded guilty to voluntary manslaughter. He got sentenced to 10 years of imprisonment but served for only 5 years with three years probation. He later said in an interview after his release that he doubts Cheyenne’s claim of being abused by Drollet due to her unstable mental health. Cheyenne Brando gave birth to her baby boy on the 26th of June 1990. She named him Tuki Brandon and later lost the custody of her son to her mother due to her mental instability. 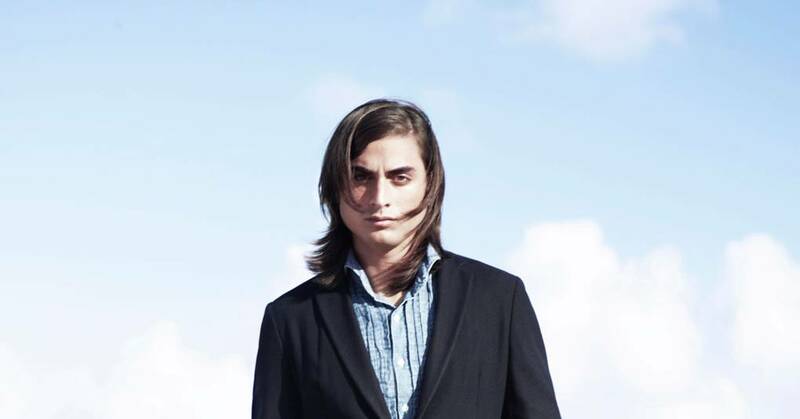 Tuki Brando would grow to follow in her mother’s footsteps and is now a renowned model. He also got admitted into medical school. Although Cheyenne Brando had a stable and happy childhood, her drug abuse and addiction might have contributed to her mental issues. She started taking drugs in high school and attempted to take her life about three times. After Drollet’s death and her brother’s trial, which she blamed herself for, Cheyenne’s mental health was on a steady decline. She was kept under surveillance and was repeatedly checked into drug rehab facilities and psychiatric hospitals without much improvement. She even accused her father of molesting her as a child and accused him of being the cause of Drollet’s death. Cheyenne Brando was then diagnosed with schizophrenia and gradually isolated herself from her friends. After different unsuccessful attempts to end her life, Cheyenne Brando finally did it successfully on the 16th of April 1995. She took her own life by hanging herself in her mother’s house in Punaauia, dying at the age of 25. The troubled lady was laid to rest in the Drollet family crypt at the Roman Catholic Urania Cemetery, Papeete. Neither her father, Marlon Brando, nor half brother, Christian Brando, could make it to her funeral.